As you may know, most of Digg.com is controlled by the top power users. Each time their stories hits the front page, it brings server crashing amounts of traffic for the webmaster. If you want your stories to make it to Digg’s homepage, there are steps you can take to make it happen. Once one story becomes popular, it becomes easier for your following stories to gain popularity. Below are four actions you can take right now to accomplish this. As you create your account, choose a username that people will remember. A name like nycgrl77 does not stand out as much as the username a_unicorn_88 does. Additionally, if you begin your username with a low letter or number such as 0 or a, then your name will be at the top of all your friends’ lists. That way, when other people are looking at your friends’ lists, they will be more likely to add you as a friend. Finally, choose an avatar that will attract attention. An interesting picture of you or a bright piece of clipart will work. You have to be active to get attention on Digg. Digg, Digg some more and keep going until you get reptitive strain injury! Add lots of friends and be selective. Add users that are active and Digg a lot. You should have luck with this if you start with a top users list. If you take the time to Digg their articles on a regular basis, then many of them will pay you back in kind. The more Diggs you get, the more other user will take notice. Additionally, you can consult the “See who befriended you” tab to see who has added you. There are also tools like FriendStatistics that can show you which of your friends are helping you and which ones are not. To get Diggs on the articles you submit, you must Digg your friend’s submissions. This is the name of the game. If you want your back to be scratched, do plenty of scratching. If you want to keep track of you friend’s submissions closely, pull the RSS feed from their submissions page and add it to your desktop/feed reader. You could also create a master feed with yahoo pipes and set up alerts. What kinds of articles should you submit? Check out which articles are getting the most Diggs and then post original content that fits into the mold of what people like. Set up RSS feeds for technology blogs like Boing Boing, Engadget, Gizmodo, Lifehacker, Mashable and TechCrunch so you get alerted about new blogs the second they are posted. You can also create Google alerts so that you are emailed as trending topics are posted to the Internet. Set up bookmarks for your friends’ stories and your own so that you can track the stories. Taking these steps will help you in being the first to post breaking news, which is a key component of becoming a Digg power user. There are also programs that can get you the news even quicker, such as Rasasa. Rasasa communicates with instant messengers like Yahoo and Google Talk to send you news from your RSS feeds as instant messages. Seek out additional, unique sources that no one else is using. Stay away from unpopular subjects such as Fox News and Microsoft. Articles in the Upcoming Most section have the best possibility of making it to Digg’s homepage. Additionally, you have the best chance of being one of the first commenters on an article in that section. Being amongst the first commenters will instantly lead to more friends as users will keep seeing your name and eventually add you as their friend. Stay active by commenting on your friends’ stories that appeal to you throughout the day. Give extra love on days when you plan to post something that you really want people to read. Unlike Twitter, Digg is very difficult to game. You cannot easily buy followers and accounts, it’s all about building relationships. 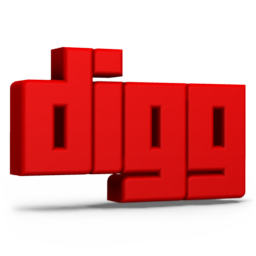 But with the potential to be a fantastic traffic referrer and link builder, Digg is well worth committing your time to. Jgar runs the affiliate marketing blog, Affiliate Temple. He loves SEO and scuba diving. Awesome tips, and I can attest if you can get a HUGE amount of traffic from DIGG in a short period of time. Hello, everyone, I am David and I am relatively new to the internet. As you can imagine , I don’t know too much about any of this yet but I am learning. I think that bloggers are some of the most helpful people there are. They are where I get all of my information. Thank You for this great post. I think what I really need is a coach. Digg is all about being active, just like any other social community. The interesting thing about Digg and Twitter, is that they won’t ban your account if you go overboard. You won’t even know it, but your tweets and diggs will be absolutely meaningless in the system. Genius. Can you please help me out to track friends?